NEW ORLEANS — The West Carroll Chamber of Commerce in conjunction with the Tulane School of Architecture are pleased to announce the Fiske Theatre in Oak Grove, La. has been awarded the Tulane School of Architecture Deans Fund for Excellence Grant to be used for historical research of small mid-century theatres in Louisiana. Tulane’s project will include documentation and historical research of the Ultra-Moderne Art-Deco architecture of the late B.W. Stevens who designed the Fiske Theatre as well as the Joy on Canal Street in New Orleans. This research will include reproducing the lost blueprints of the theatre as well as preparing documentation to assist in the submission for future listing on the National Register of Historic Places when the theatre becomes eligible in coming years. Liles is a practicing architect, operating his own firm in New Orleans, and is Adjunct Faculty at Tulane School of Architecture. Liles’s oversight of the project will be joined by the director of the School of Architecture’s Master of Preservation Studies program, Professor John H. Stubbs, a native of Monroe who has spent most of his career in international architectural conservation. Stubbs has also served as advisor to the State’s current initiative to nominate Poverty Point State Historic Site in Epps, La. to UNESCO’s World Heritage List. The student team will consist of a Master of Architecture candidate and two Master of Historic Preservation candidates, all of whom will measure the existing building, complete a stylistic analysis, compile historical documents, contextualize the significance of the Fiske in relation to other regional theatres and produce a publication-ready document. 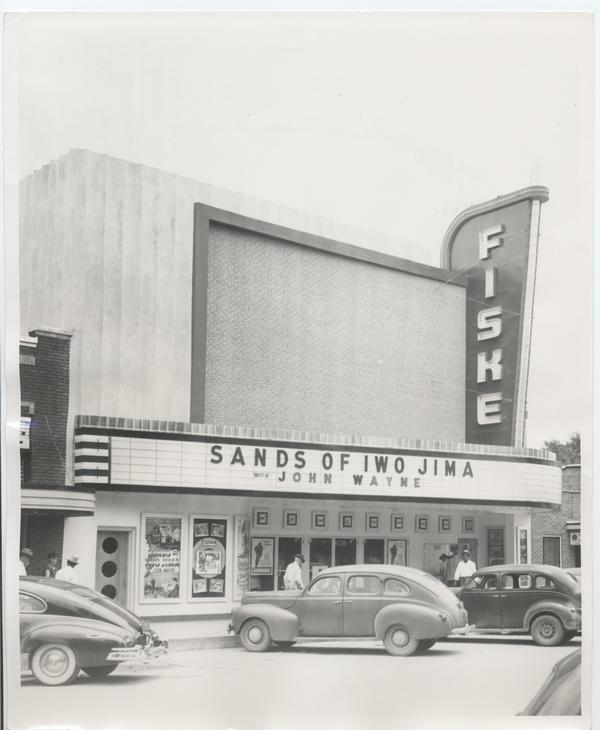 Through engagement with the Fiske Theatre and its Oak Grove community this Dean’s Fund project will highlight the value of small mid-century theatres in Louisiana as a case study that can be used as a tool to encourage similar preservation efforts throughout the region. In this way, it is an opportunity for Tulane School of Architecture to serve the states northern parishes beyond Oak Grove as The Cave in Delhi and Joy in Rayville are two candidates for restoration or adaptive reuse that could benefit from a publication of the means and methods of the revitalized Fiske Theatre. The Fiske Theatre is owned by the West Carroll Chamber of Commerce and operated by Holland Entertainment LLC of Oak Grove. Funds from this project in no way will be used for general operation of the theatre. For more information on the Tulane School of Architecture visit them at architecture.tulane.edu or on the Fiske Theatre visit fisketheatre.com or westcarrollchamber.com. This entry was posted in Uncategorized and tagged Fiske Theatre, Tulane. Bookmark the permalink.